Rising sea levels, and the changing patterns of our more unpredictable weather are already presenting us with a dilemma – to what extent do we try to fight nature, such as holding back incoming surge tides at The Thames Barrier and on the Severn; and to what extent do we work with these changes by abandoning expensive sea defences, and letting reclaimed farm land once again flood, or become salt marsh? There are few gardens in England where this dilemma is more real than at Westbury Court Garden. Just 10 miles south-west of Gloucester, this rare Dutch water garden probably owes its survival to those uncommon floods – but this also threatens its future existence. To two sides of the garden is the Westbury Brook; which after periods of heavy rain, and with swollen water levels on the River Severn; backs up. 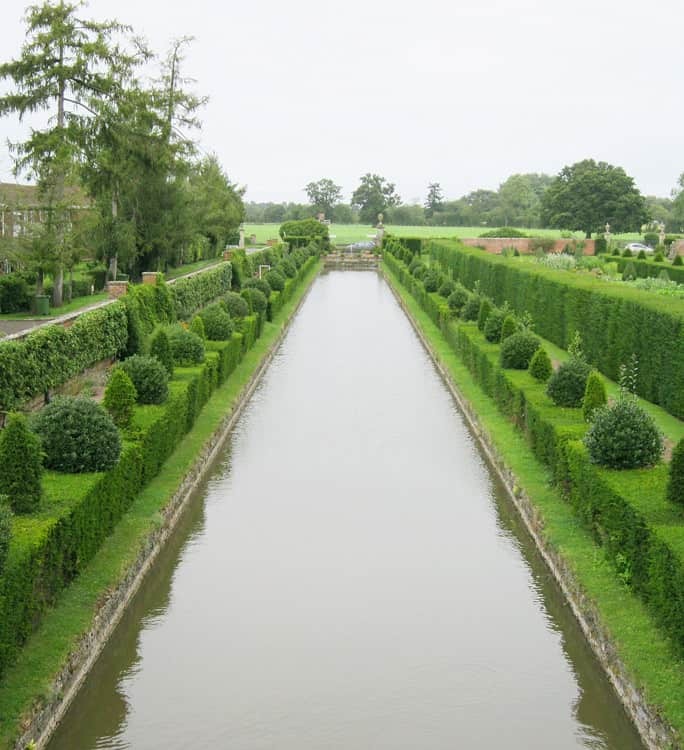 Tons of silt can be swept into the garden’s canals; their ecological balance upset by the nitrates washed off the surrounding fields; and worst of all, the floodwater carries a waterborne fungus, phytophora, which causes dieback and eventual death to the waterlogged yew hedges. The last serious flood was in summer 2007, but as I write, the January 2014 floods are causing havoc in the garden. Fortunately the phytopheria is less of a problem in the winter..
Westbury Court Garden was never a large garden, and what remains today is a skilful and delightful restoration of about two-thirds of the original site. In 1696, Maynard Colchester, a local squire, who had recently the good fortune to marry the daughter and heiress of a wealthy City mercer; started the garden; which was continued and enlarged by his nephew. 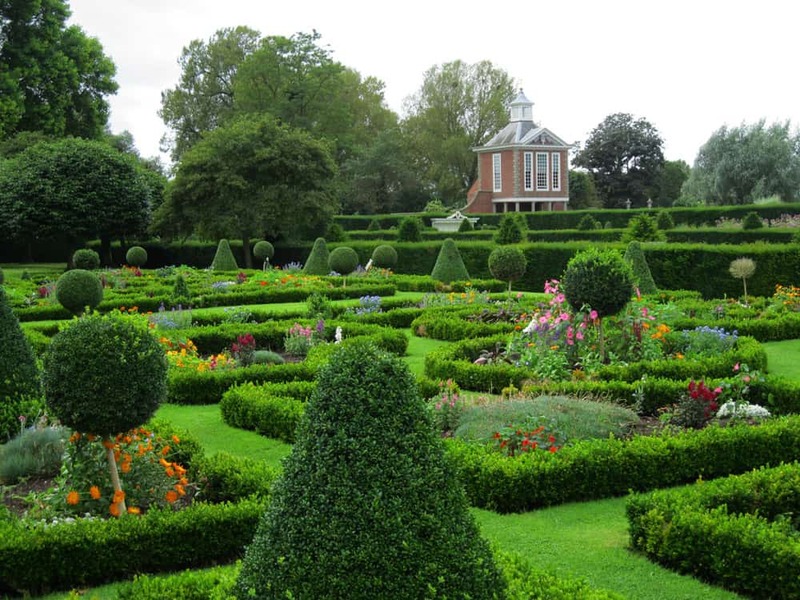 Following William of Orange’s Glorious Revolution in 1688, England was in almost constant warfare with France for a generation; and the Dutch style in gardens became popular for a whole series of political and fashionable reasons. 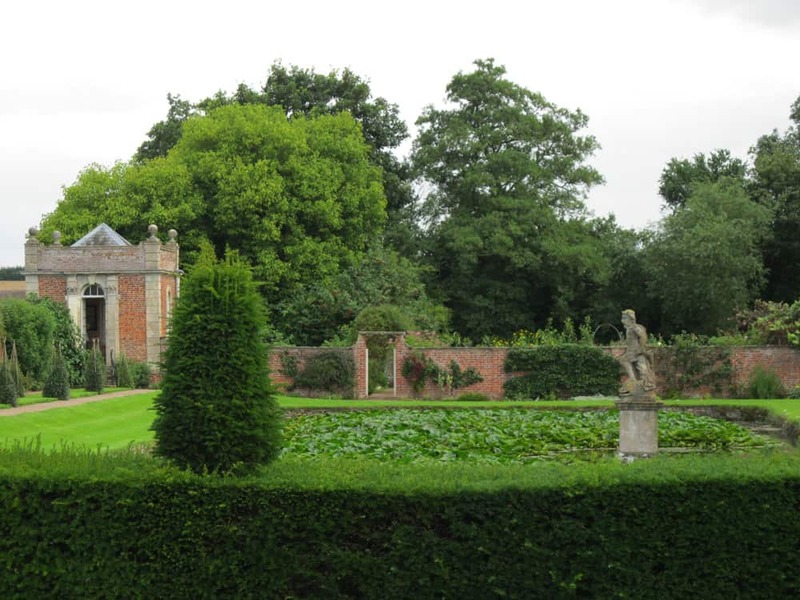 By the 1720s, when Westbury’s garden was largely complete; a new more natural style was gaining popularity, and this was to evolve into The English Landscape Garden. Why didn’t the family, who subsequently demolished Westbury’s Tudor mansion, and built a fine Palladian house, not build a landscape garden in the new style; as had happened at virtually every other house in the country? And why, by the 1750s, did the family permanently abandon Westbury, demolishing their new house some 60 years later? This is an unsolved mystery, but there is a strong likelihood that flooding was part of the answer. By the 1890s, Westbury’s Dutch style garden was back in fashion; and a Colchester descendant restored the garden, building himself a large, unremarkable Victorian house; but this was a brief revival, and immediately after the First World War the estate was sold off, and the garden left to decay once more; the canals filling with flood silt, the hedges dying, and the garden reverting to scrubland. The 1960s were to pose Westbury with its greatest threat. The Colchester family sold the remaining garden site to a developer, whose outrageous planning application included destroying the garden, filling in the canals, and covering the site with bungalows. This led to a national outcry; forcing the Rural District Council to purchase the site, and give the most significant part to the National Trust. 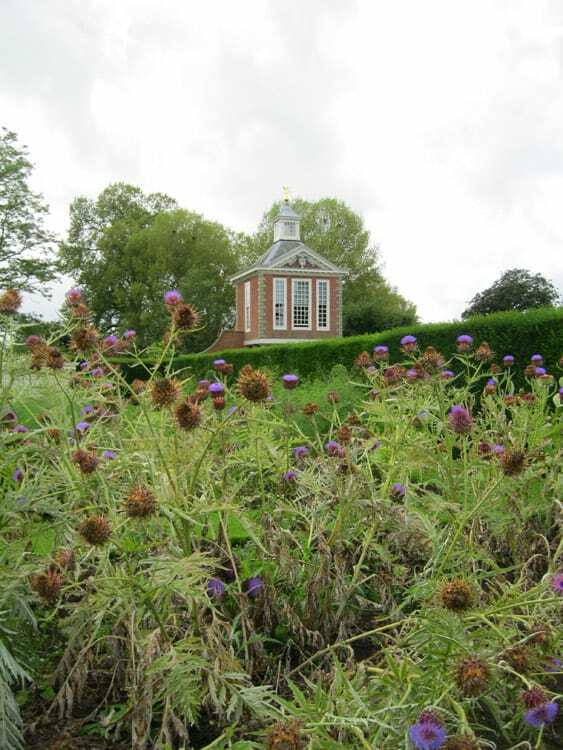 This was something of a poisoned chalice, as in addition to the terrible state of the garden; the Tall Pavilion, dating from the 1690s, was in a state of collapse. The family records, and Kip’s engraving enabled the Trust to undertake England’s first accurate historical restoration of a garden. 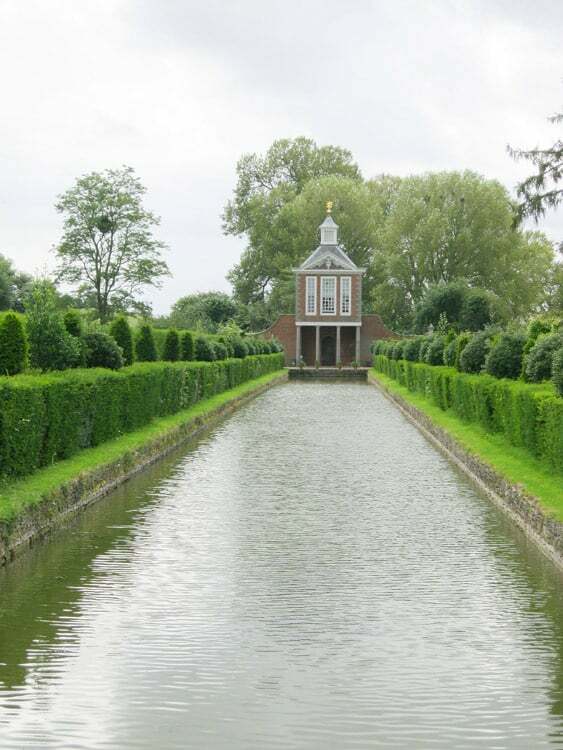 Flooding on a more frequent basis has presented Westbury Court and the National Trust with a challenge. 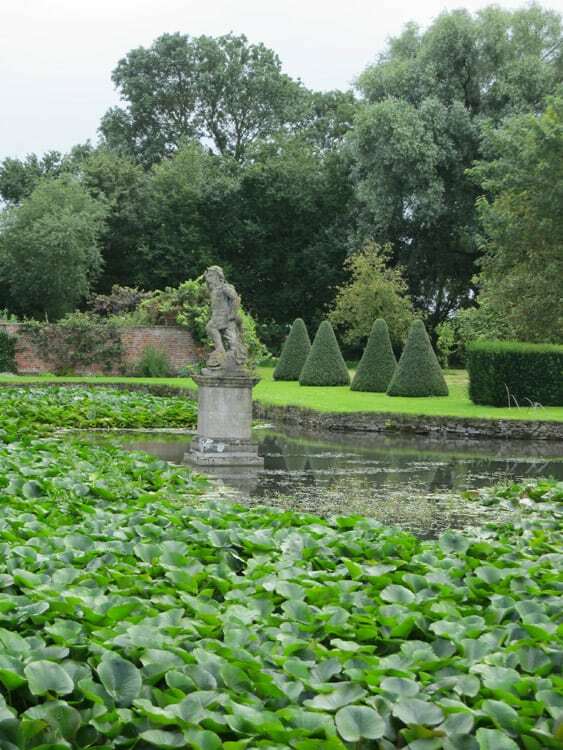 As the only Dutch-style water garden in the country, it must be retained, but how? Planting of box and beech hedges to replace the yew are being trialled but are historically inaccurate and don’t look right. Funding is being provided for research into finding varieties of yew resistant to phytophora, but these do nothing to prevent flood silt filling the canals and disturbing the ecological balance. The Trust’s most promising move has been to buy the neighbouring farm, and carry out a highly-skilled floodplain survey in association with DEFRA to ascertain whether the height of the banks in the neighbouring fields can be modified and the adjacent fields returned to flood-plain meadows. Only then could Westbury’s continued survival be certain.